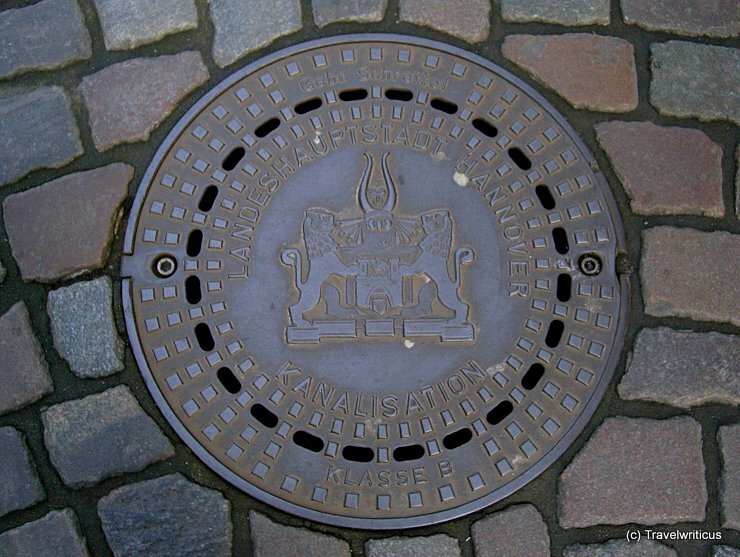 A manhole cover seen in Hanover (Hannover), Germany. 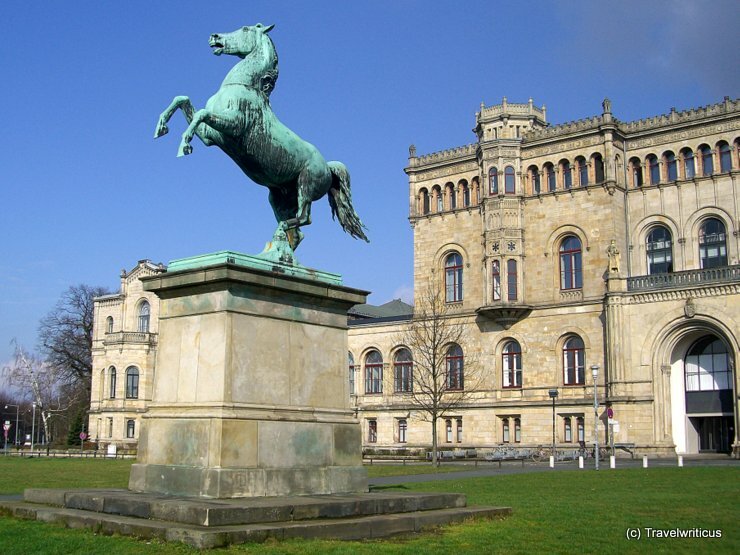 I know the coat of arms of Hannover which is in the center of the emblem but what about the two lions and the helmet? Do you know the meaning of this coat of arms? 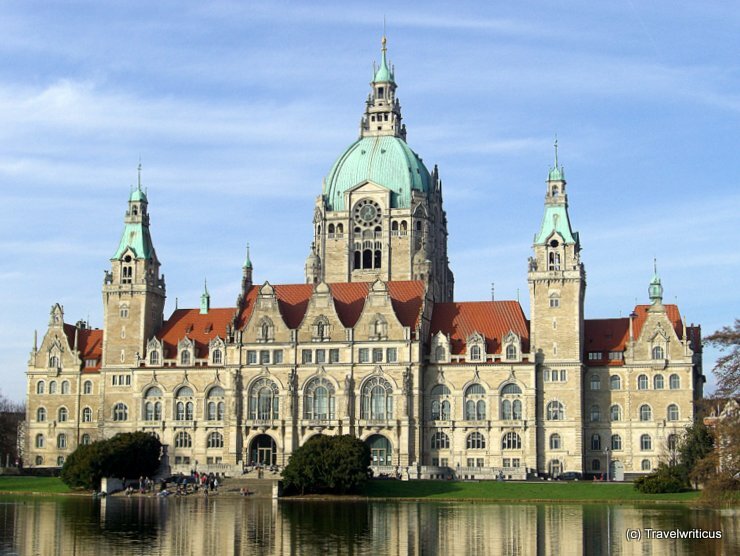 The castle-like New City Hall (Neues Rathaus) of Hanover (Hannover) was built during the era of Wilhelm II in eclectic style. 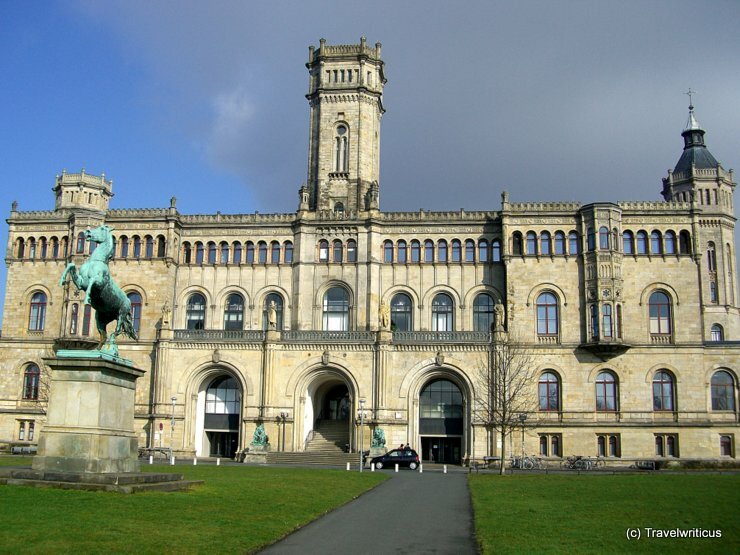 It was opened in 1913. The observation deck in the dome is accessible via a remarkable elevator.